Microsoft has a strange track record of launching successful and unsuccessful operating systems in successions. Windows XP was a massive success, Windows Vista was abysmal. Windows 7 on the other hand was brilliant. 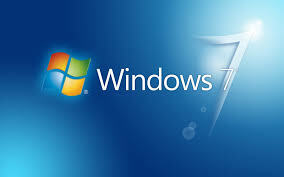 Even after the launch of Windows 8, Windows 7 continues to be the primary operating systems for many users. With a massive user base, it is very likely that someone would be in the need of setting up VPN in Windows 7. In this post we shall discuss precisely that. We are going to show you how to setup PPTP connection with Windows 7. Most of the popular VPN service providers work hard towards delivering the best of their services in the PPTP regime. Also it seems to be increasing in popularity. Here is how you can setup VPN in Windows 7. If you have been using Windows 7 long enough, you would know where to find the network settings. You can find these in the control panel. Go to Network Internet and then Network Sharing. Here you would have the option to add more networks, which is precisely your objective now. The trick here is to go to setup a new connection or Network. You would have to create a new type of network which would have the type ‘Connect to Workplace’. So, select ‘setup a new connection’ followed by ‘Connect to Workplace’. Once you click next here, you would be taken to a page where you would be asked if you want to select from the existing networks. Select, ‘no create a new connection’. Here is the crucial point. Select, my Internet connection VPN. After this you would be taken to a page where you would be asked to enter the details of the VPN service. These details are usually found in the mail which is sent in the configuration mail. If you are missing any such detail, contact the service provider for these. You would be asked to enter the server name, sever address. Also enter the user ID and password. Uncheck any of the boxes which make you connect now. When you are done, to connect to the newly created network. Before you connect, you would have to change the type of connection which would be needed. Go to the properties part of the connection, and then in the connection type choose PPTP. And you are done! To connect to your VPN, you have to select the connection from the network tab and click connect.